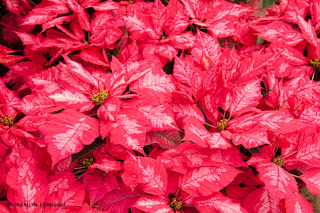 Centennial Park Conservatory in the west end of Toronto (Renforth and Rathburn area) seems to always have the best display of the most unusual Poinsettias. This year too! The new hybrid is a luscious two toned red and pink version. 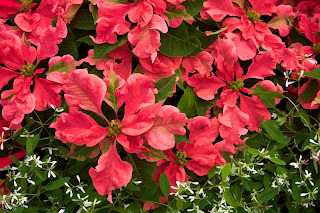 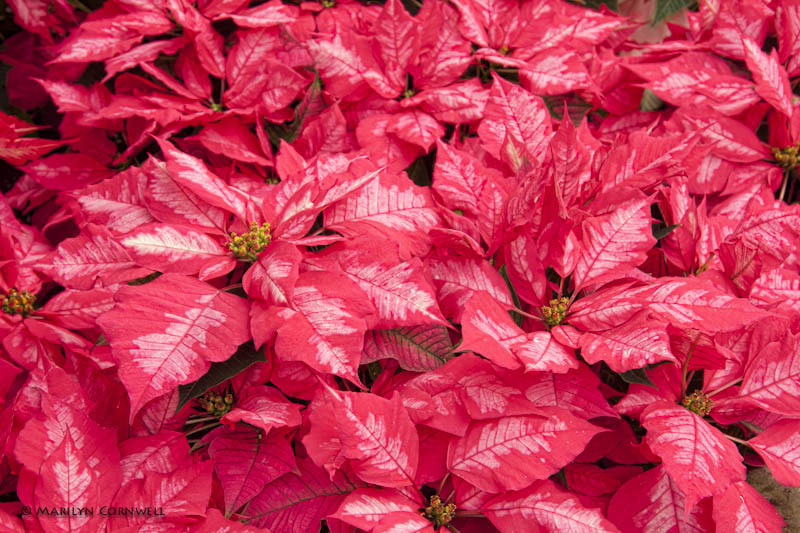 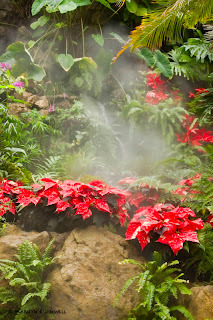 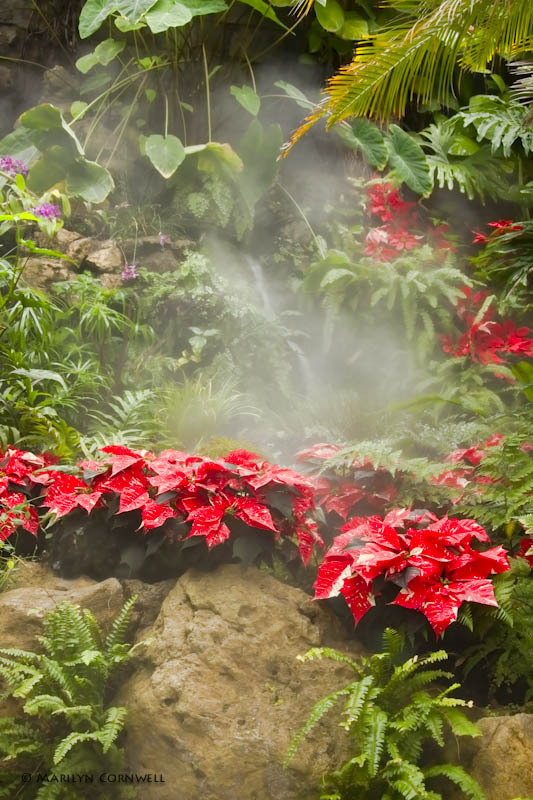 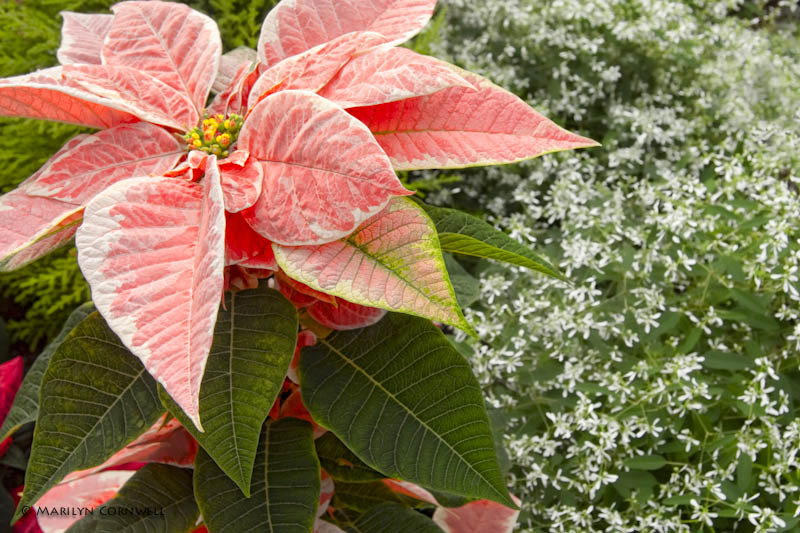 Tropical mist and poinsettias seem to go splendidly together on a snowy day.